I have a pair of Klipsch Choris ii powered by a Yamaha RAV472. 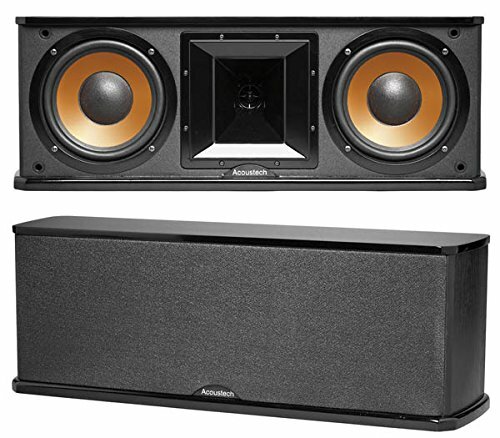 I want to add the Klipsch R-12SW Subwoofer. What center channel would be a good fit for mostly playing movies. Should I also buy a amplifier. Any suggestion on subwoofers and center channel speakers and amplifiers? Well, as you may have been told, another Chorus II would be best. Since most family room HT systems can't accommodate that, maybe a single Heresy II. If not that, I have heard/read that an Academy or KLF-C6 would be next best. All are on the large(height) size so that is something to consider. My budget for the center channel I would like to keep it under 1,000 but for the right speaker I could break that rule. I’ve been loving my BIC Acustec Center for years.